Our Engineering Department is made up of three permanent in house engineers, with extensive automotive design experience from Ambulances to Security Vehicles and Coaches. We constantly strive for innovative and efficient design solutions. 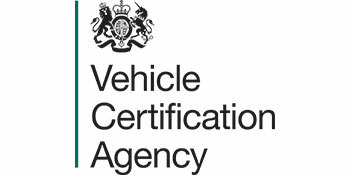 VCS is approved to the European test standard for Ambulances (CEN 1789-2007+A1:2010) which involves rigorous testing of Ambulance designs, including dynamic (10G) and static (20G) testing. All vehicle concepts are pre determined on our CAD systems before manufacturing commences. This ensures all designs and customers requirements are achievable within the constraints of the vehicle design parameters and guidelines from the OEMs. We pride ourselves on providing feedback to the client on the best design to suit their needs, but also ensure legislative compliance for peace of mind. As vehicles get more complex and the equipment being carried in emergency vehicles increases, it is very important to ensure vehicles are not designed over the permitted vehicle weight. At VCS we subject the proposed specification or design to theoretical weight analysis and centre of gravity (CoG) analysis. These condition reports allow us to manufacture and engineer the actual vehicle within 10Kgs of the projected weight, prior to design sign off. All changes are documented via our Engineering Change Request (ECR) procedure to ensure adherence and compliance to customer, engineering, design and type approval requirements.